In the framework of teaching our personal perspectives of “What is CI?”, we have been invited to give lecture demonstrations, structure dance conferences and present talks for professional dancers as well as the curious mover.Aiming to share our practice in its artistic, social and political dimensions, we usually present a diverse mix of video materials, moving and talking performative structures, and an introduction to the historical and contextual global emergence of Contact Improvisation as a form. To make this more accessible and concrete for our audience we structure a participatory performance where verbalized text, visual material and dance are in dialogue. Conception: Alice Godfroy and Daniela Schwartz. Creation: in collaboration with Co. Dégadézo. Performers: Antje Schur, Regine Westenhoeffer, Alice Godfoy, Eckhard Müller and Daniela Schwartz. Duration: 1:15 min. Video extract 5 min. 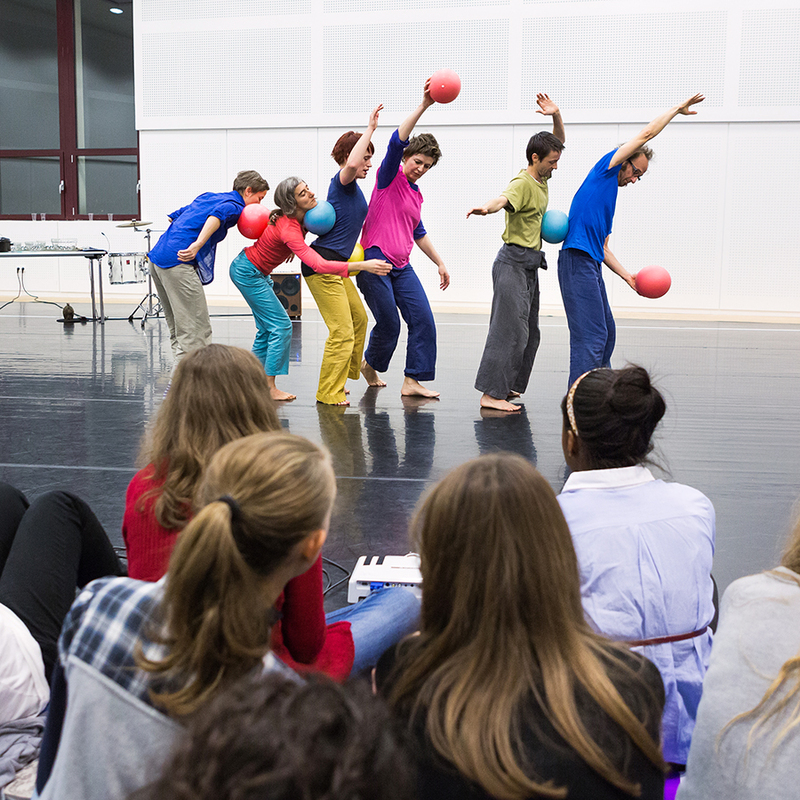 Supported by Choreographic Center Strasbourg and the Conservatory of Strasbourg, City of dance & music.